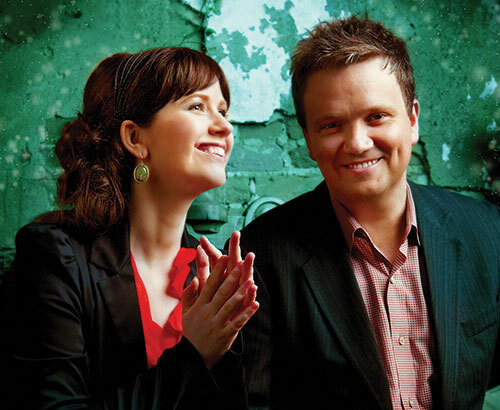 Keith and Kristyn Getty today led worship in the Palace of Westminster as record numbers of politicians, church leaders, and charity leaders attended the National Prayer Breakfast. The Belfast-born hymn writer featured songs such as Behold The Lamb and In Christ Alone in front of the 140-strong audience which included British Prime Minister Theresa May. The breakfast, which was held in the grand surroundings of Westminster Hall was themed around the question, ’What can Christianity offer our society in the 21st century?' and also featured the Revd Dr Tim Keller, Founding Pastor of Redeemer Presbyterian Church, New York. Later this month, Getty will be receiving an OBE award from Her Majesty Queen Elizabeth II for his contribution to hymn writing. An estimated 100 million people are singing Getty hymns in church services each year, with their almost unique ability to be sung in contemporary and more traditional contexts of church music. Last year, Keith and Kristyn’s first book, Sing! How Worship Transforms Your Life, Family, and Church, was published internationally by B&H (Lifeway) and has been critically acclaimed by readers and media alike with sales of around 65,000 across the globe. The Getty’s next Getty Music Worship Conference: Sing! will be hosted in Nashville, Tennessee from 10-12 September and 7,500 are expected to attend from around the world.